Once upon a time, Grandma J had an voyeuristic obsession with Vince, the Sham Wow guy. This is the Vince Grandma J is talking about. She loved the way he took slopping up spills to a new level. 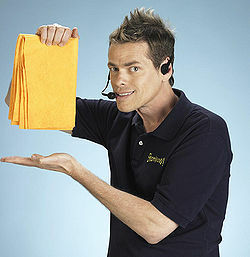 He lied had millions convince that the Sham Wow was the next best thing to coffee ice cream white bread. Well, Grandma J's good friend Hollywood, who she met vicariously through Vince, the Sham Wow Guy....then met up with for coffee at Starbucks in Albuquerque, let me borrow this video that she stole from her facebook page. I la la loved it! I hope you do too. *Grandma J could NOT get the intro ad off like Hollywood did, so click "skip ad" to get to the meat of the video actual video....thank you. Oh my gosh. This was so funny. Laughed my head off : ) I love when he used it to call his friends. : ) And when he made it into a kite! I love a good spoof! There is nothing funny about him wasting all those paper towels. I would like a formal letter of apology from him to all the trees in the world. Does Hollywood have a blog? She should. Hollywood does Not have a blog! I've been telling her to get start one for two years now. It's a shame because she's funny, smart and pretty. She also cheats at Bejeweled Blitz. 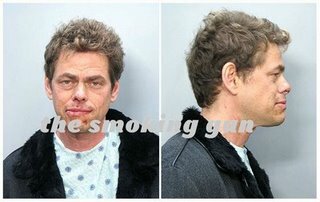 I love Vince the Sham Wow guy. But I think that he would leave me early in the morning and not leave his number behind. Yeah, I think he's that kind of guy. So I'll just settle for the Paper Towel instead.